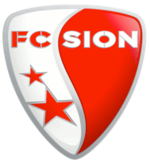 Football Club de Sion, commonly known as simply FC Sion or Sion, is a Swiss football team from the city of Sion (pronounced [sjɔ̃]). The club was founded in 1909, and play their home matches at the Stade Tourbillon. They have won the Swiss Super League twice, and the Swiss Cup in 13 of their 14 appearances in the final, the most recent being in 2015. The first team of the club was also known as their incorporated name Olympique des Alpes SA. FC Sion were founded in 1909 by Robert Gilliard, who became club captain, and played their first match the same year, a 3–2 win against FC Aigle. The club grew thanks to contributions from locals, and played their first competitive league fixture in 1914, again a 3–2 victory, against FC Monthey. In 1919, Sion formally organised its managerial structure, with Gilliard becoming vice-president and Charles Aymon taking the presidency. From 1932, Sion played in the fourth tier of Swiss football, where they spent much of the next 20 years, briefly interrupted by promotion to the third tier in 1944, quickly followed by relegation in 1946. In 1952, Sion returned to the third tier. Five years later, Sion gained promotion again to the National League B, followed five years later by promotion to the National League A (now the Swiss Super League) in 1962. 1965 saw the first of Sion's Swiss Cup wins following a 2–1 victory over Servette. The 16,263 capacity Stade Tourbillon was officially opened in August 1968, but the club was relegated in 1969. Sion returned to the National League A at the first attempt and secured a second victory in the Swiss Cup, winning 3–2 against Neuchâtel Xamax in 1974. Sion would go on to consistently perform well in the Swiss Cup, with victories in 1980 (against Young Boys), 1982 (against Basel), 1986 (against Servette) and 1991 (against Young Boys). This period of success also saw the renovation and expansion of the Tourbillon in 1989, and was crowned with Sion's first Swiss League Championship in 1992. More success in the Swiss Cup followed, winning the tournament in three consecutive years from 1995 with victories over Grasshopper, Servette and Luzern. Their win against Luzern in 1997 secured Sion their only domestic double, having also won the Swiss League. However, the club quickly fell into financial trouble, and having narrowly avoided bankruptcy due to its purchase by Gilbert Kadji, the club suffered relegation in 1999. Despite returning to the top division the following season, financial problems plagued the team, culminating in relegation in 2001, the departure of Kadji and a denial of a professional license in 2003. The club was saved by architect and former footballer Christian Constantin, and they were re-instated into the second division in October 2003. Constantin spent the following seasons rebuilding the club, with the club going through 20 managers in the following eight years, including taking the role himself twice, in a bid to financially stabilize. He was rewarded in 2006 with promotion back to the Super League, as well as a victory in the Swiss Cup, becoming the first second tier team to achieve this, with a 5–3 penalty shoot-out victory over Young Boys after a 1–1 draw. In 2008, controversy came to Sion when they signed Essam El-Hadary, leading to a two-year "registration period" ban for Sion from June 2009, and an international playing ban for El-Hadary for four months, due to El-Hadary still being under contract at his former club Al Ahly. Sion appealed this action, but the Federal Supreme Court of Switzerland confirmed the FIFA, DRC and Court of Arbitration for Sport (CAS) decisions in 2009 and 2010 respectively. However, the lengthy legal battle (including the temporary reprieve) meant the ban was only practically instituted beginning in the winter transfer window of the 2010–11 season. Although gaining a place in the qualifying round of the 2011–12 UEFA Europa League by winning the previous season's Swiss Cup, Sion were excluded from the Europa League by UEFA after fielding ineligible players in their play-off victory against Celtic. On 2 September, the Swiss Football League (SFL) rejected the registration of one more player, Brian Amofa. On 30 September 2011, the SFL decided to provisionally qualify the six new signings, namely Stefan Glarner, Billy Ketkeophomphone, Mario Mutsch, Pascal Feindouno, José Gonçalves and Gabri, to comply with the ongoing legal process. Sion also sued the SFL and UEFA respectively in the Tribunal Cantonal de Valais and the Tribunal in Vaud, however both actions were dismissed. The club's earlier appeal was dismissed by UEFA Appeals Body on 13 September. Sion also sued the SFL and UEFA in the CAS, but withdrew the former claim. The hearing of the latter claim was set on 24 November. On 25 October, the Discipline Commission (fr: Commission de discipline) of SFL suspended all six players for five matches. It was reported that each player filed their legal claim in civil court instead of using the Swiss FA and CAS "sports court" system, which the ban was requested by FIFA. On 27 October, as a "provisional and super-provisional measures", UEFA invited Sion to a match schedule consultation once UEFA lost the legal battle. On 31 October 2011, Sion sent a complaint to the European Commission. FIFA also won the legal battle in civil court in November. Previously, the civil court of Martigny and Saint-Maurice (both of the city of Valais) ordered FIFA to confirm the signing of those six players on 3 August, a consequence of lawsuit brought out by the players. On 16 November, FIFA and the SFL appeal was upheld in the Valais canton court. On 15 December, the CAS upheld the complaints by UEFA, affirming its right to discipline Sion according to previous agreements. The CAS also lifted the provisional measures ordered by the Tribunal Cantonal of Vaud (Cour civile) on 5 October 2011. After the ruling, FIFA threatened to suspend Swiss national and club teams from international competition if Sion were not appropriately penalized for its ostensible rules violations. In late December 2011, the Swiss Football Association complied with FIFA's demands and penalized Sion 36 standings points (based on how many matches ineligible players were involved), moving the club to last place in the league standings and putting the club at risk of relegation if the ruling stood. Sion finished the 2011–12 season in ninth place, which qualified them to the relegation matches against Aarau, whom they defeated 2–1 on aggregate to stay in the Swiss Super League. But for their 36-point deduction, Sion would have finished in the third place, which would have qualified them into the 2012–13 UEFA Europa League. Prior to the start of the 2012–13 season, they made a major coup by signing Gennaro Gattuso and Kyle Lafferty, both via free transfers. However, the club had a disappointing season which saw them change coaches three times before settling on Gattuso to finish the season, ending in third place. Sion held the distinction of having never lost a domestic cup final, with 13 wins in 13 appearances in the Swiss Cup, until a defeat by Basel in the 2017 edition. Sion play their home matches at the multi-purpose Stade Tourbillon, which has a capacity of 14,500. It was originally constructed in 1968, and was renovated in 1989 and 2012. The club also has a training centre near its office in Martigny and a youth development center in nearby Riddes. For a list of all former and current FC Sion players with a Wikipedia article, see Category:FC Sion players. ^ a b c d e "FC Sion Official Club History (French)". FC Sion. Retrieved 13 September 2011. ^ McGuire, Annie (16 August 2011). "Sion president the embodiment of a controversial club". BBC. Retrieved 13 September 2011. ^ "El Hadary banned for four months". BBC. 2 June 2009. Retrieved 5 September 2009. ^ "FC Sion and El Hadary lodge appeal". FIFA.com. 7 July 2009. Archived from the original on 10 July 2009. Retrieved 5 September 2009. ^ "FIFA statement on Swiss Federal Court ruling". FIFA. 19 January 2011. Retrieved 30 October 2011. ^ "Transferübersicht Axpo Super League – Saison 2010/11 (Winter)". Swiss Football League (in German). Retrieved 30 October 2011. ^ "FC Sion appeal rejected". UEFA.com. 13 September 2011. Archived from the original on 15 October 2011. Retrieved 13 September 2011. ^ "FOOTBALL – CASE FC SION / OLYMPIQUE DES ALPES SA / SFL: APPEAL WITHDRAWN". CAS. 3 October 2011. Archived from the original on 7 November 2011. Retrieved 30 October 2011. ^ "Tribunal Cantonal de Vaud rejects latest court request from FC Sion". UEFA. 18 October 2011. Archived from the original on 20 October 2011. Retrieved 30 October 2011. ^ "FC Sion appeal rejected". UEFA. 13 September 2011. Archived from the original on 15 October 2011. Retrieved 30 October 2011. ^ "CAS sets date for FC Sion hearing". UEFA. 25 October 2011. Archived from the original on 27 October 2011. Retrieved 30 October 2011. ^ "UEFA statement on FC Sion case". UEFA. 15 October 2011. Archived from the original on 17 October 2011. Retrieved 30 October 2011. ^ "UEFA invites Sion to match schedule consultation". UEFA. 27 October 2011. Archived from the original on 29 October 2011. Retrieved 30 October 2011. ^ "FC Sion complains to European Commission". swissinfo.ch. 31 October 2011. Retrieved 5 November 2011. ^ "FIFA wins case against Sion players". FIFA. 18 November 2011. Retrieved 3 January 2012. ^ a b "FC Sion at WorldFootball.net". WorldFootball.net. Retrieved 13 September 2011. ^ "FC Sion - Joueurs". FC Sion. ^ "Celtic protests over Sion matches accepted". UEFA. 2 September 2011. Archived from the original on 13 December 2011. Retrieved 2 September 2011.